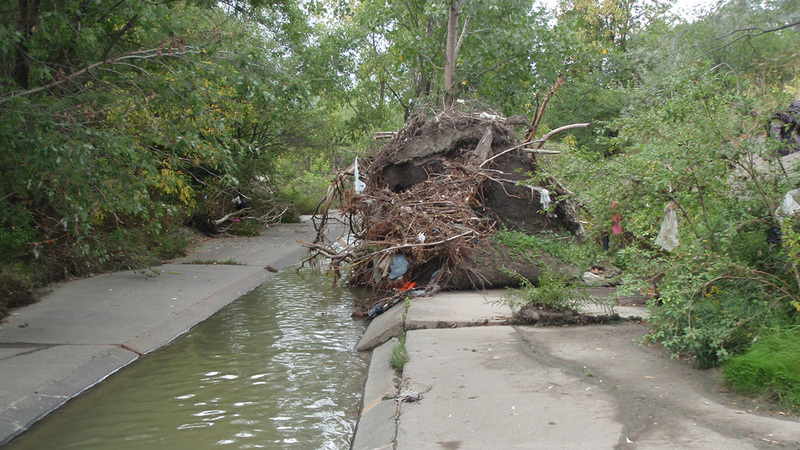 The Rockcliffe neighbourhood along Black Creek is a highly flood vulnerable area, and has experienced both riverine and urban basement flooding during severe storms. 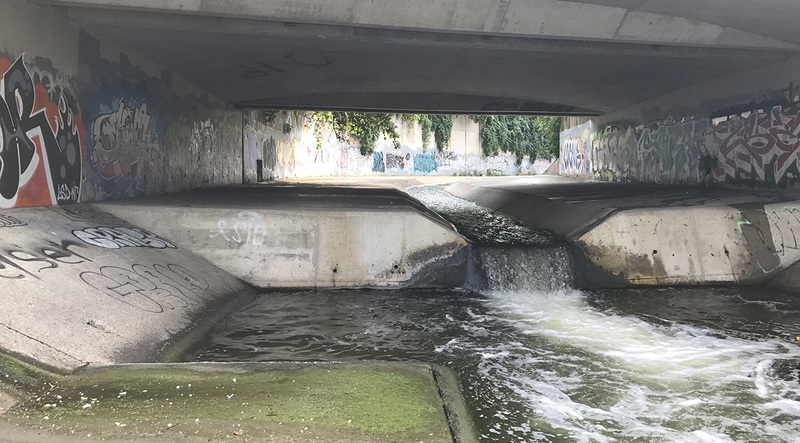 In 2014, Toronto and Region Conservation Authority (TRCA) and Toronto Water completed separate Environmental Assessment (EA) studies that investigated options and recommended measures to reduce riverine and sewer system related flooding. Click here to download the Environmental Assessment. 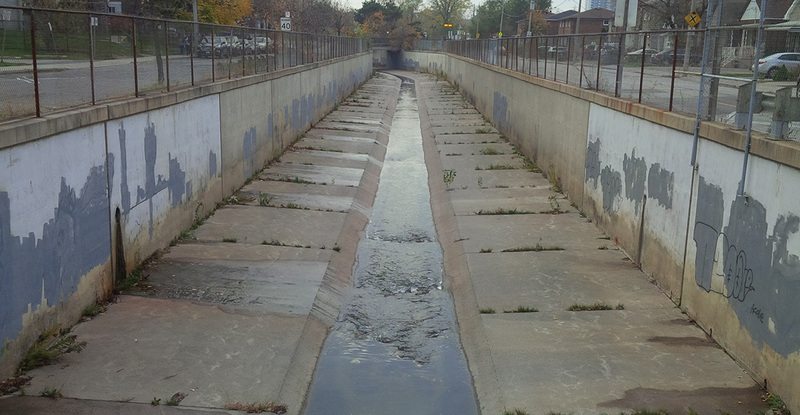 In the channel just downstream of Scarlett Road TRCA replaced 3 concrete panels that had severe cracking. Repaired panels at Scarlett Woods Golf Course. 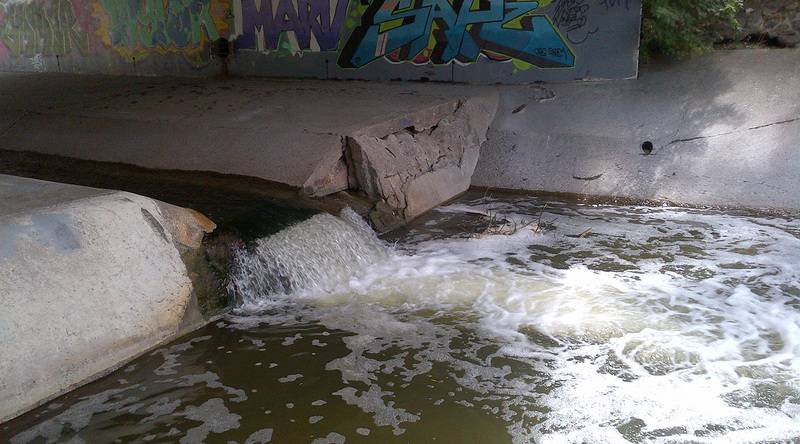 TRCA undertook concrete repairs to the channel and drop structure. TRCA removed vegetation from the channel to restore flood flow capacity. Channel before dredging operations began. Dredging operation just downstream of Weston Road. 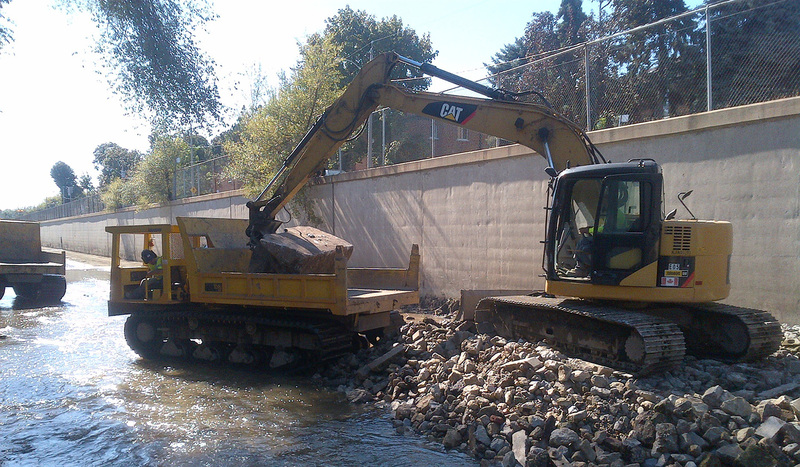 TRCA removed vegetation and sediment from the channel to restore flood flow capacity. 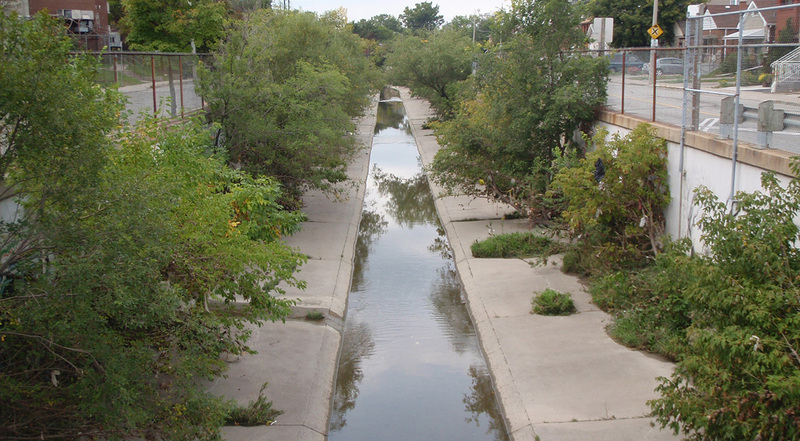 2014 Dredging Project – Before photo. 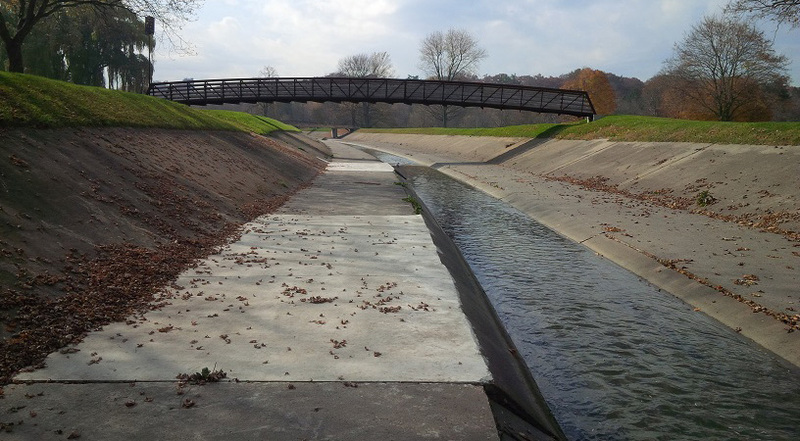 2014 Dredging project – After photo. The drop structure under Scarlett Road was replaced with a new concrete structure. 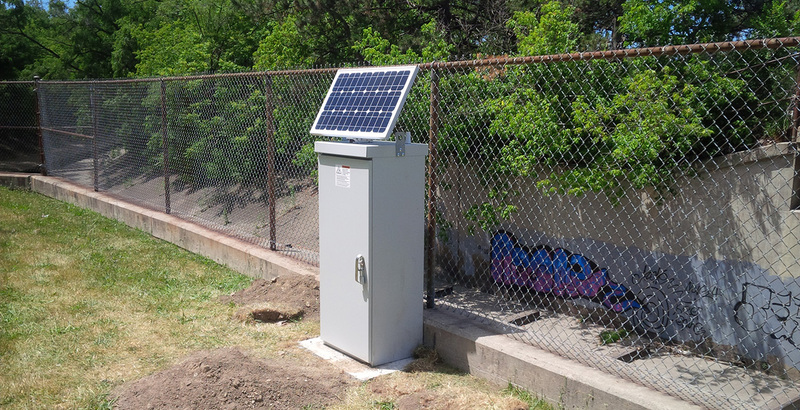 A flood warning gauge was installed at Black Creek and Alliance Avenue to provide TRCA’s Flood Warning staff with real-time water levels. 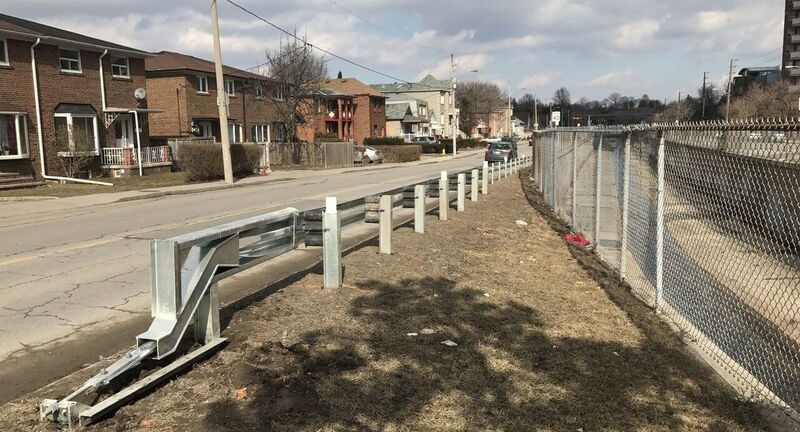 TRCA installed a new guardrail between Weston Road and Hilldale Road to increase safety for motorists along Humber Boulevard North. New guardrail along Humber Boulevard North.